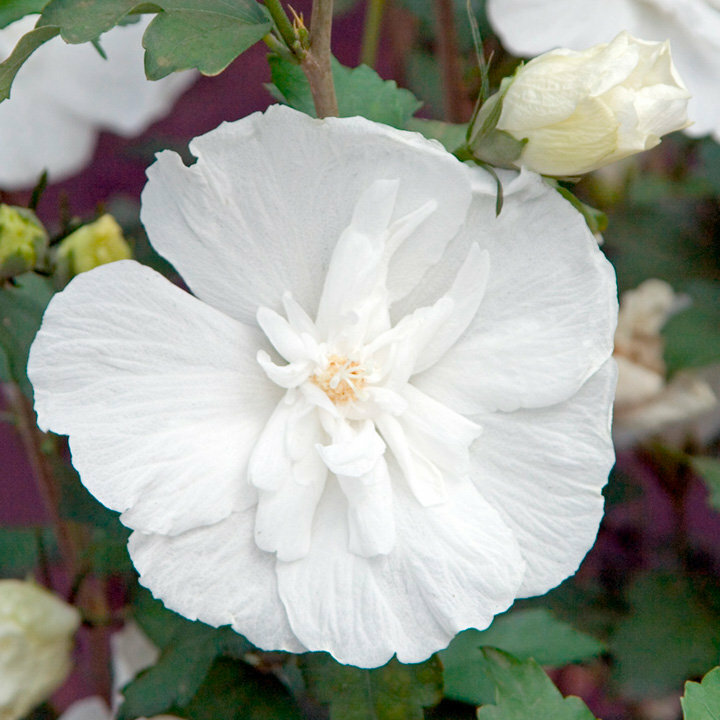 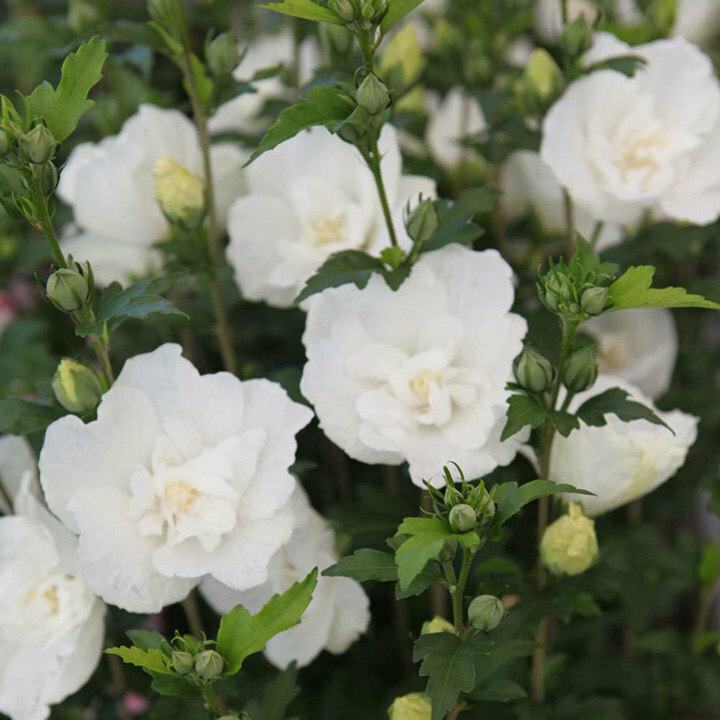 Hibiscus syriacus White Chiffon 'Notwoodtwo' is a vigorous, deciduous shrub with dark-green foliage and pure-white blooms of up to 10cm across appearing in late summer. 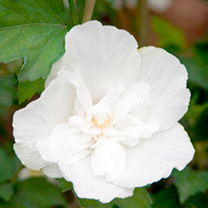 Height 200-250cm. Supplied in a 3 litre pot or 7.5-10 litre pot.